The Rio Del Mar Improvement Association is joining Save Our Shores for a Hidden Beach Cleanup, September 20. Volunteers will meet at 9 AM at Hidden Beach Park to get cleanup supplies, and will clean Hidden Beach from 9 until 11 AM. 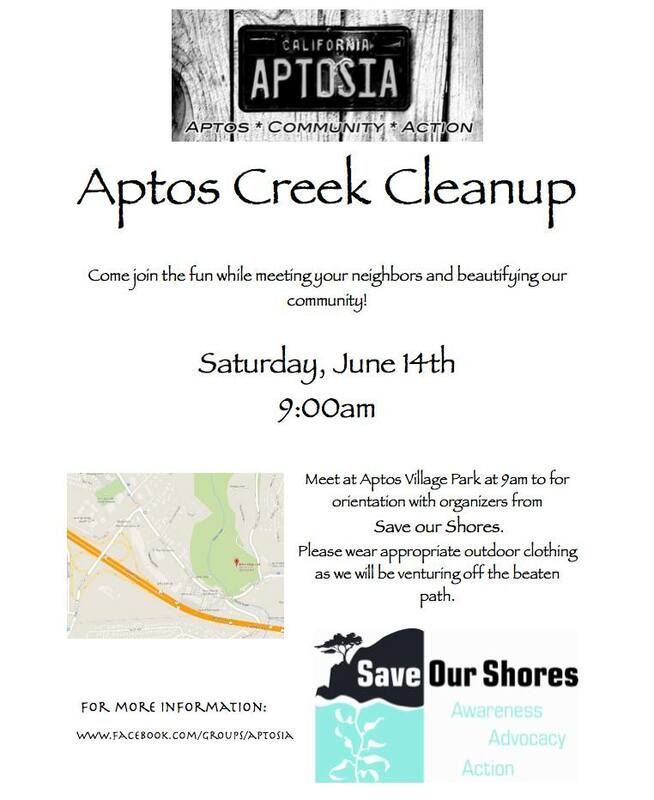 Anyone who likes their beaches clean is invited to join in this important neighborhood event. Special note to all you high schoolers! High school students seeking community service credit can bring their forms for signature to the event for “sign offs” and credit! Those looking for more information are encouraged to contact Fay at fayjoe1@yahoo.com.